What every dog owner has been looking for, a lightweight and easy to assemble Agility Hurdle Jump which is guaranteed to provide hours of fun for you and your dog. 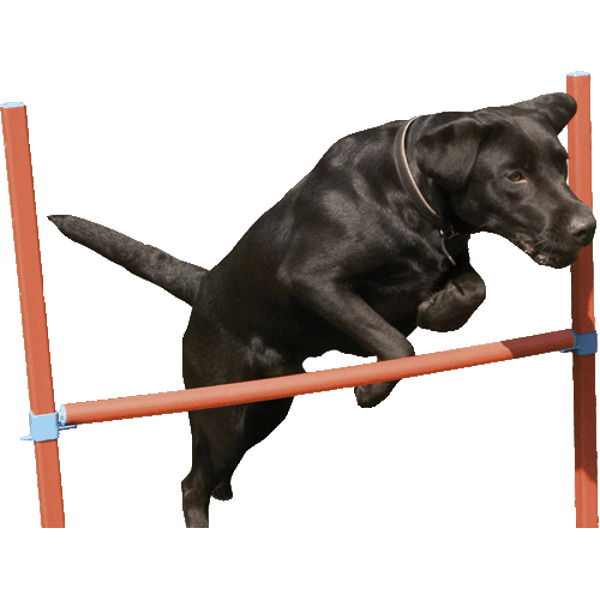 The hurdle can be adjusted into six height positions and can be adjusted to Kennel Club Competition heights between 32cm and 82cm. This product is loved by home users wanting fun with their dog but also top level Agility Competition handlers and instructors. Its lightweight design, simple assembly and carry bag, make it ideal for taking with you to Agility competitions for quick and simple warm up exercises, and jumping for your dog before your competition run. Whether for your own family’s fun and enjoyment in the garden or as part of a team our agility kits are ideal. The kits are light weight (for safety) and quickly and easily assembled. There are currently no questions for Rosewood Agility Hurdle Jump for Dogs - be the first to ask one!